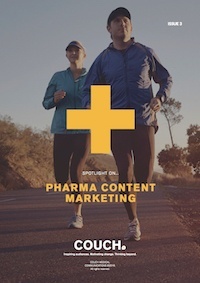 For the third edition of Spotlight On… we’re discussing the intricacies of content marketing. As one of our specialist areas, we are delighted to be able to shed some light on what to do if you want to do it well. And possibly more importantly, what not to do. As it stands, the pharma industry needs to take action if it wants to maintain relevance in the digital landscape. With HCPs and patients looking for the information they need in the digital world, we need to be doing a better job of ensuring everything they require is easy to find and even easier to understand. The best thing about creating really great content is that it’s a win-win situation for all. By serving up engaging and relevant content, those seeking it will find the answers they need, and pharma brands will in return enjoy the benefits of a stronger online presence: brand trust and loyalty. So, if it’s time you started making steps to forming and maintaining stronger relationships with your customers, enhancing your content offering is the perfect place to begin.